I love the MCU. I also love Sentai, Power Rangers, Kamen Rider, basically anything toku. Yet Iron Man is wildly successful while Power Rangers/Kamen Rider tend to fail despite all of them being the same basic concept. A person equips a powered suit of armor to fight villains. While Power Rangers hasn't really failed it isn't anywhere near as big as it used to be. And both times they have tried to create a localized Kamen Rider show have failed. I try to think of reasons as to why this might be the case...Is it because Sentai/Rider fight monsters even thought the MCU has aliens? Is it the more kid focused feel of the shows? Is it because of the more fantastical nature of their powers? Their suits just appear out of nowhere while Iron Man's suit is technological. You actually see where it's coming from and understand it. Is it because the shows were originally made in Japan? I've had mostly positive reactions in my life to my love of toku. But there have also been a few negative. I've been criticized for my love of sentai/PR/KR by people who claim to love the MCU. Which is interesting to me, because as I said they are basically the same concept. I don't know. This is just something I've had rattling around in my brain for a while. I was just curious what others thought about it as well. I was also going to post this on the kamen rider subreddit as well, but yeah...changed my mind once I got there. Is there a reason I may have overlooked? Am I just thinking too much into this? I'm curious to see what others think. 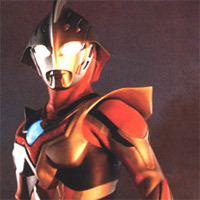 I think the Power Rangers concept was more or less old news by the time of Iron Man, and was essentially renowned as a kids series on a TV budget; additionally, I feel it helped Iron Man that the latter started out with more complex, realistic suitups in the first movie before springboarding into the more tokusatsu-esque suitcase/flying pieces/nanotechnology suitups, so allowing for the more believable start ended up justifying the later, more fantastical transformations. Another part of it, I feel, was the movie itself. Between being a really good superhero movie in general (a rare find in its day beyond the better X-Men and Spider-Man movies) and its first hinting of a then-revolutionary cinematic universe, it effectively captured the interest of many who normally wouldn't have been into comic book movies. I feel the current nanotech-based armor does open up the American audience to concepts like Kamen Rider, but the much more impressive film budget of the MCU would mean audiences would have to get used to the far less impressive transformation and suit effects in KR, to say nothing of its transformations that may be viewed as somewhat formulaic. Definitely feel like Iron Man is made with an aim at a broad audience (both adult and children) than Power Rangers and Sentai (which is aimed mostly at kids).